With over 90 years in the domestic transportation industry, this new company has been started with some ambitious goals to change North American & International transportation, this is just the start! Very happy to announce the relaunch of the longest standing Sound Software client - Morry's Trailer Sales. a comprehensive backend to support a ton of optional features for each listing in a VERY user friendly interface. Another useful feature for interested parties is the opportunity to subscribe to a "Wanted" list, allowing them to enter in their criteria should they be looking for a particular make and model; completely done without any user management whatsoever, when the unit they desire becomes available, they will instantly be emailed or receive a text to inform them. 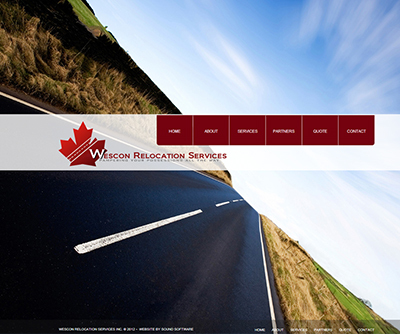 Everything about this website was designed around the premise of minimal interaction between staff and website. 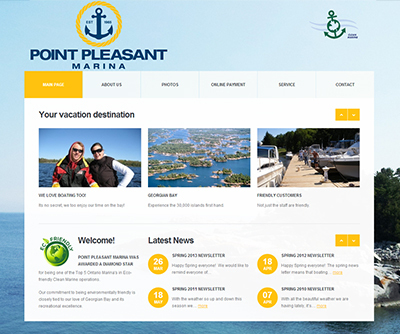 Happy to Launch Point Pleasant Marina's new site. One of the biggest criteria of this project was to take a few things and make them as simple and easy to use as possible, for example the secure 1 page payment page, or a very straight forward service request form. Pleased to present Dr. Erin Axt Optometry's new website. Clean and simple design, responsive to perform on all devices. Dr. Axt's practice is entirely paperless, inclusive to their signup form on the website, which can be completed in the office as you browse their many brands of attractive eyewear! At the beginning of this very cold April, we are really happy to be launching a website for MPW Enterprises. 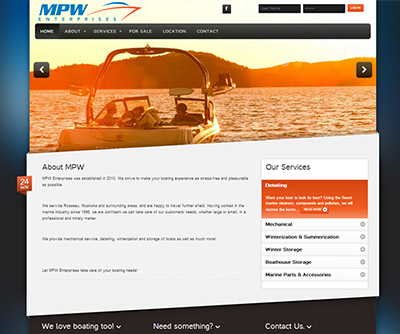 Using photography from the endlessly talented Alija Bos http://www.alijabos.com/ we've created a website that, right from the homepage shows what MPW Enterprises and boating in the Muskoka's is all about. This new website, combined with a long running Adwords campaign will dramatically reduce their overall costs of advertising as well as drive significantly better search results. There is some incredible talent in the Parry Sound Area, Architectural Technician Heath Billington does some amazing things. He runs a small crew of very highly skilled craftsmen under the company Lake to Lake Construction, which create multi-million dollar estates in the heart of Cottage Country. 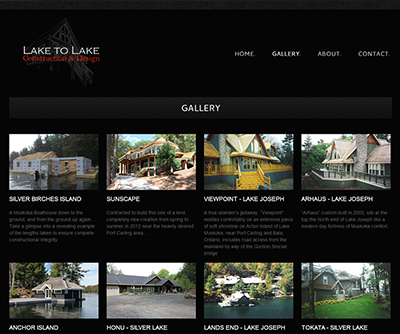 We've created a website to showcase Lake to Lake's, experience and breadth of knowledge in the construction and architecture industry. Please have a look, and we hope you enjoy the experience. The Canadian Systems Control Centre of Brookfield Renewable came to us for a special request, and quickly developed into a great number of additional features built into their project. Has multiple web forms to process sick leave and vacation requests. Produces file repositories for data in real time. Created a platform for inter-office notices.